Just like most four year old girls, Little Sister loves dolls, stuffed animals, playing dress up and pretending to cook our family dinner in her kitchen. When I heard about My Friend Teddy and My Friend Cayla, I knew they would be perfect for my daughter and I couldn't wait for her to start playing with them! Let's start with My Friend Cayla - she is the most adorable doll! Cayla has beautiful long, blonde hair and arrives wearing a cute fashionable outfit! She also comes with a mirror and comb, so you can style her hair any way you want! To get started with My Friend Cayla simply download the free iOS or Android App! You'll need to connect via Bluetooth on your smart device. 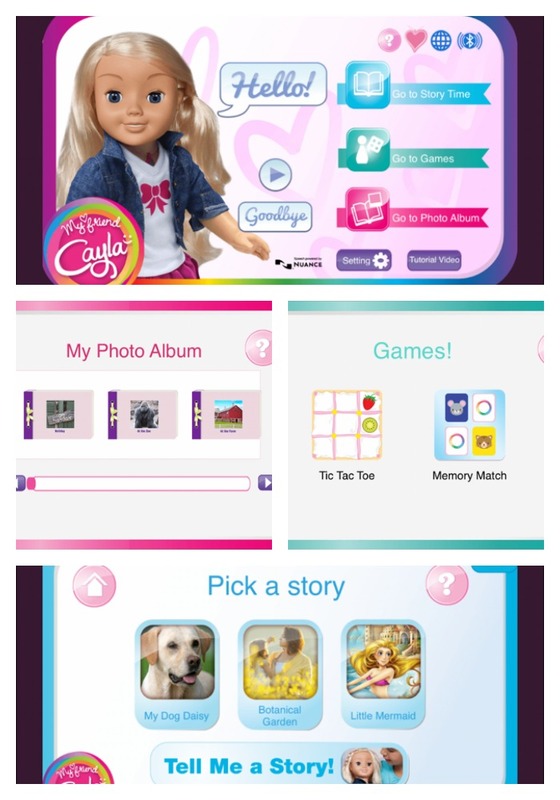 Once Cayla is connected, the Bluetooth icon will appear on your home screen within the app - it's time to play! Cayla can read and tell stories, play games, answer a variety of questions, spell words, solve math problems, talk about her photo album, favorite animals and more! Cayla can understand and respond appropriately with your child, she can even carry on intelligent conversations & speak different languages! 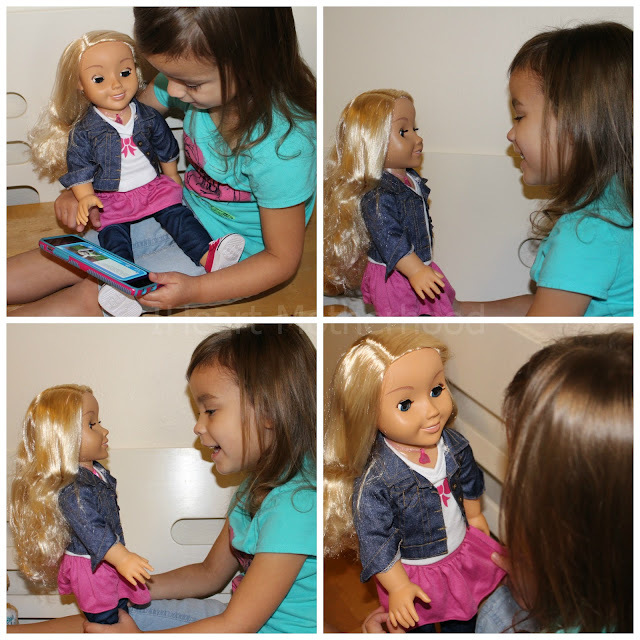 My Friend Cayla features integrated child-safety filters, she is the first doll that wirelessly connects to a smart device and the internet! Thanks to a software called Voilet, your child is protected from any offensive or sensitive words or images. Cayla can be enjoyed offline or online, batters are required and not included. 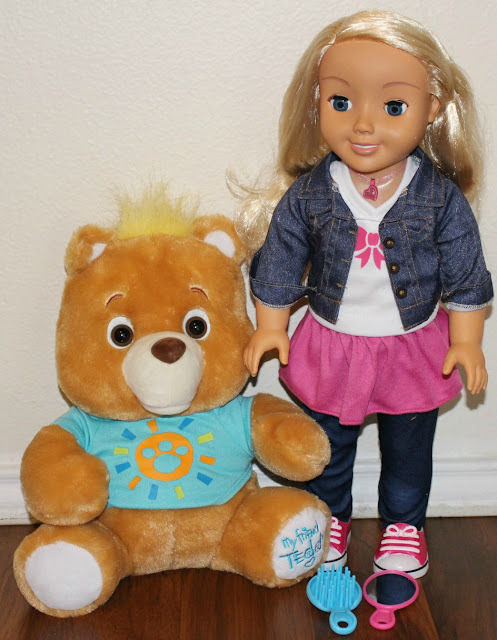 Your child will fall in love with her new friend and be amazed at all that Cayla knows! From talking about zoo animals to asking how well you slept, your child and Cayla will be sure to have hours of fun together! Cayla is so easy to talk to, when she asks a questions or speaks, her necklace will light up when it's your child's turn to engage. If for some reason Cayla didn't catch the response or didn't hear well, she'll ask your child to repeat themselves. Little Sister C has really enjoyed playing and interacting with My Friend Teddy & My Friend Cayla! She loves to talk and I love watching her face light up with surprise when Teddy or Cayla responds to her! She's already been talking to Cayla about her upcoming birthday party - it's the cutest thing ever! Everyone loves a teddy bear! My Friend Teddy is perfect for little boys or girls, he's huggable, squeezable and loveable! Teddy is super soft, he talks, giggles and laugh! Just like My Friend Cayla, Teddy is easy to set up. 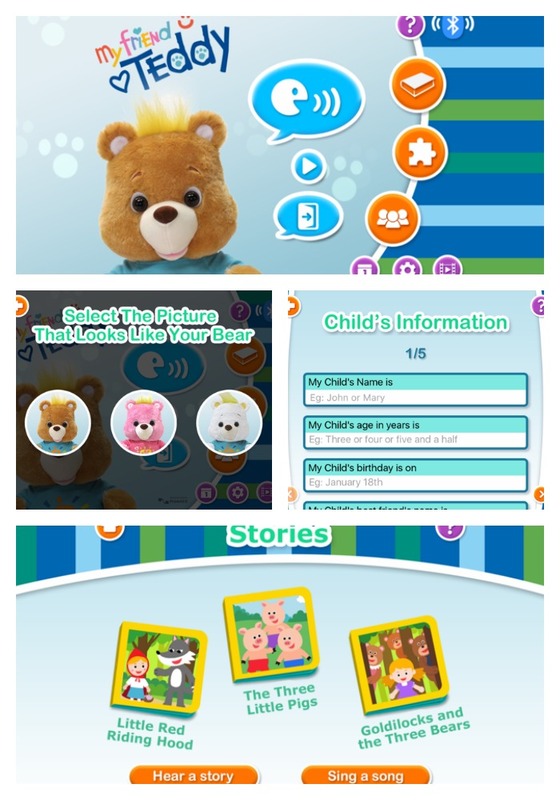 Simply download the free My Friend Teddy App on iOS or Android and follow the simple steps to get started. My Friend Teddy allows personalization so he can talk to your child about things they know - including likes, dislikes, your child's name, favorite color, siblings, etc. Teddy is also powdered by Violet and you can customize Teddy's knowledge with the easy to use and intuitive user interface. Teddy grows with your child, he can even tell a magical story with pictures of your family from the photo album. Teddy also speaks in English and Spanish and his adorable mouth moves every time he speaks! Teddy can play lots of activities with your child! Ya'll can explore the zoo together, solve puzzles and read fun stories. So what do you think? My Friend Teddy & My Friend Cayla would make great gifts for that special child in your life! 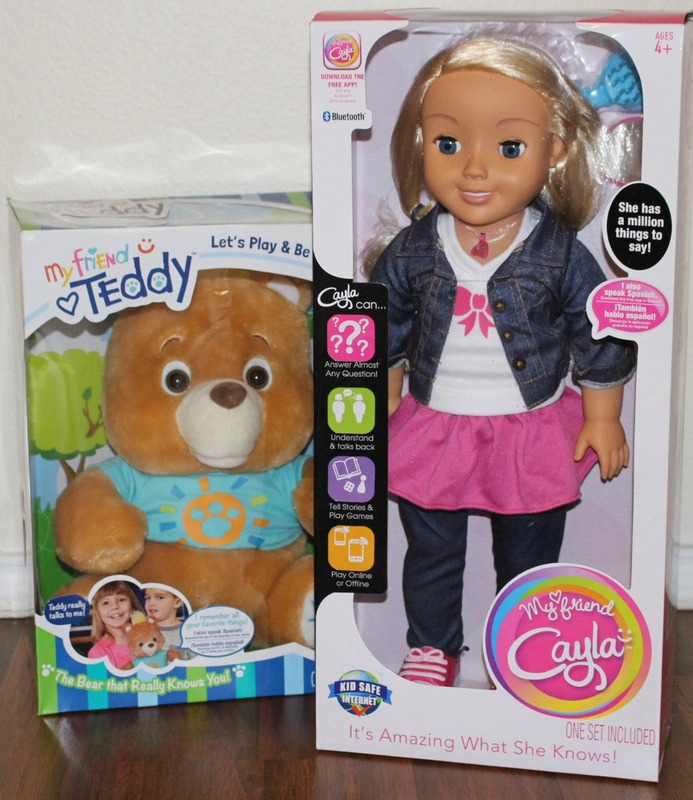 My Friend Teddy & My Friend Cayla can be purchased online or in-store at major retailers like Wal-Mart, Target & more! Be sure to connect with My Friend Cayla on Facebook & Twitter! You can follow My Friend Teddy on Facebook & Twitter as well!